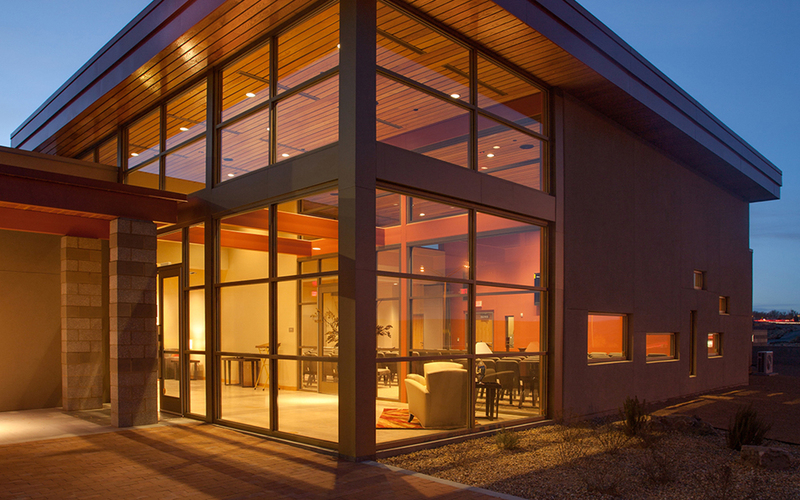 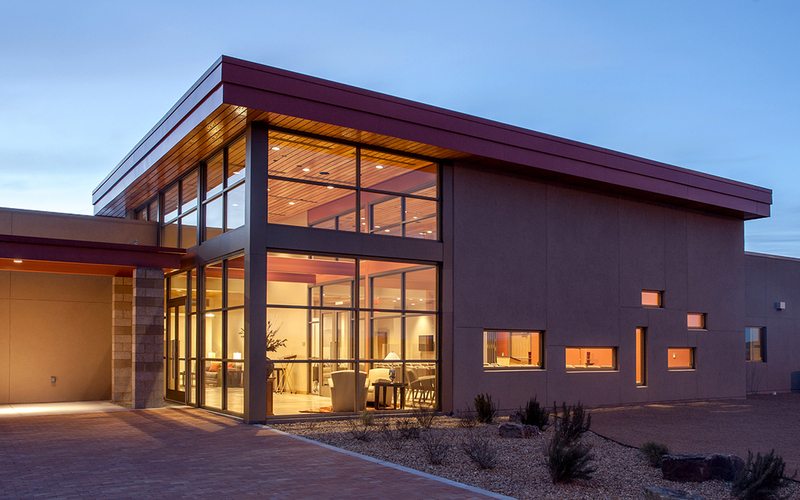 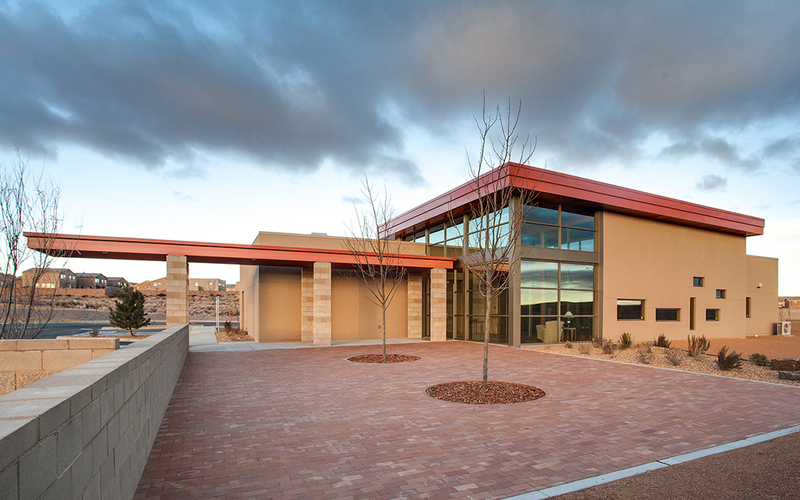 When the FRENCH Family of Companies decided to serve the growing Rio Rancho community, it was an opportunity for this traditional funeral home company to put forth a new and progressive image. 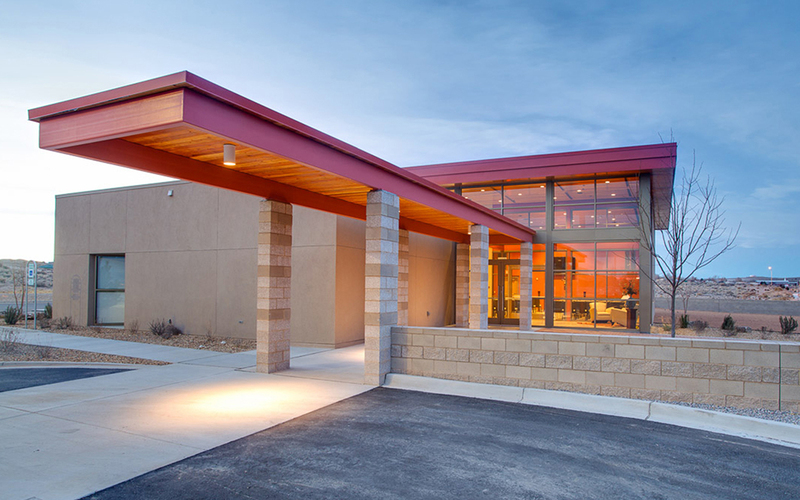 The business location and contemporary character of the building is intended to appeal to the predominantly younger families that make up the surrounding community. 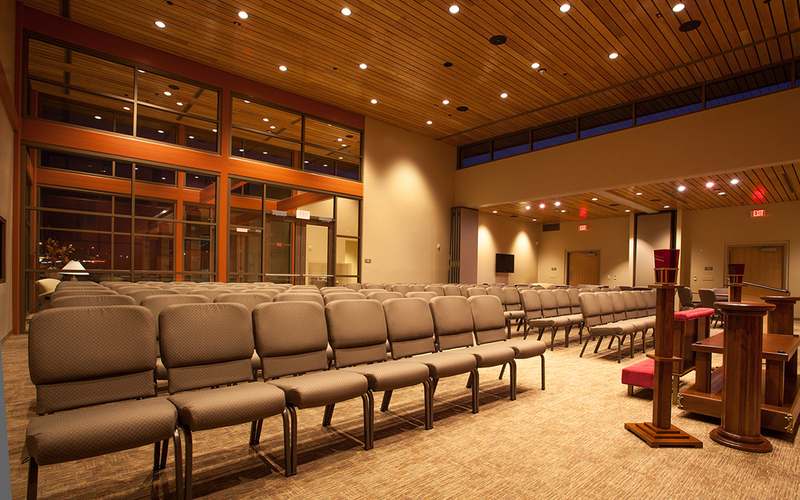 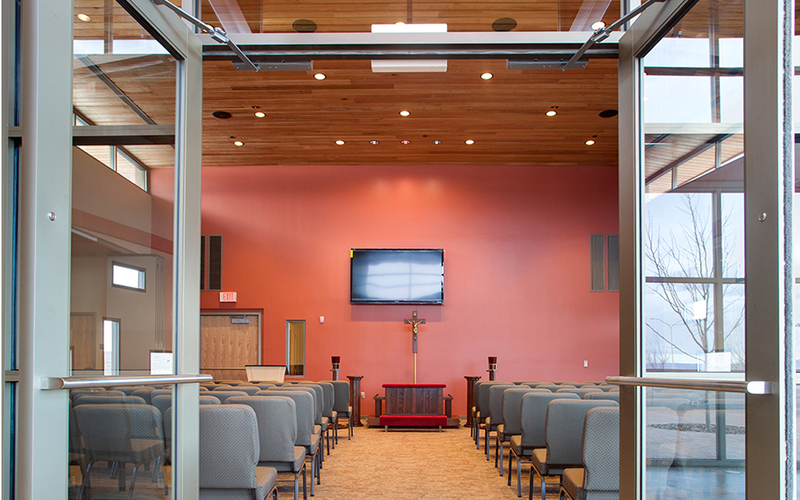 The new facility consists of a multi-use chapel, state rooms, administrative offices, sales and support areas. 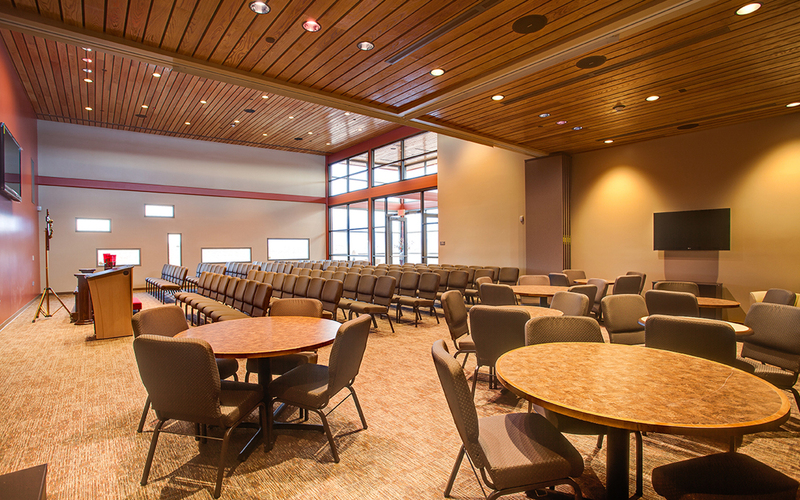 The spacious corridors are designed to facilitate large family groups and provide opportunities for social gathering. 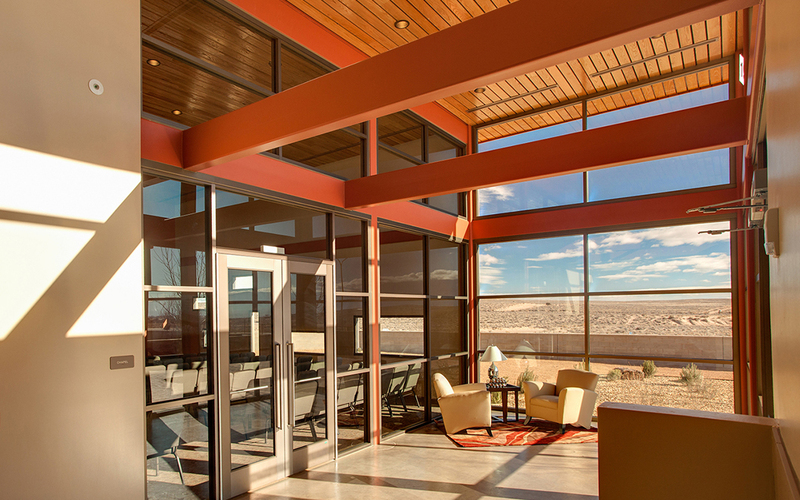 Regional materials and rich colors enhance the comfort and calm of the interior spaces. 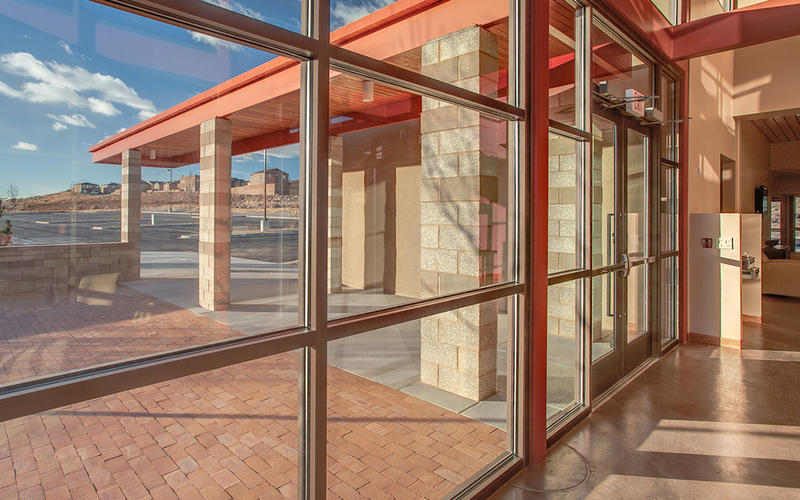 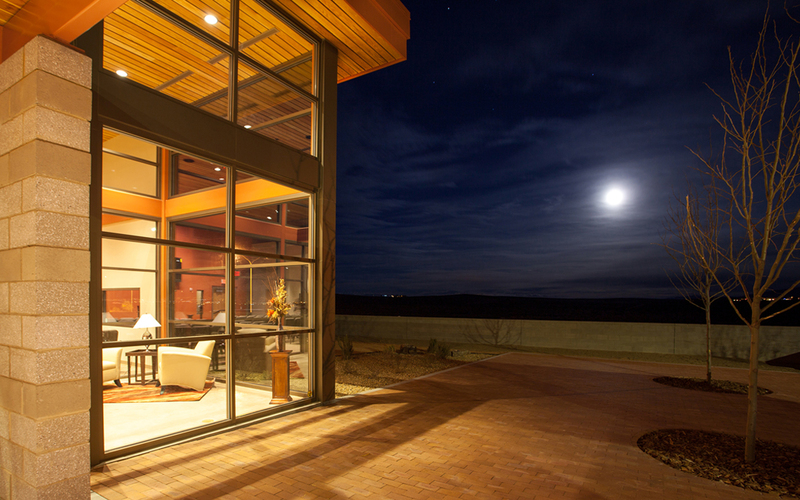 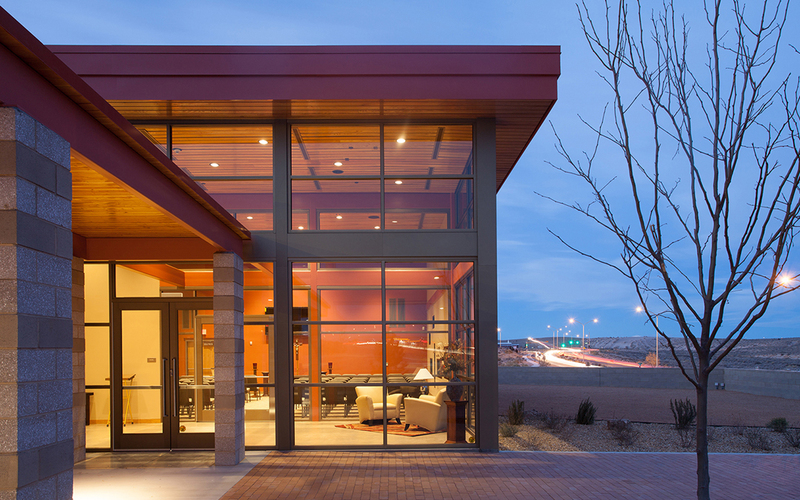 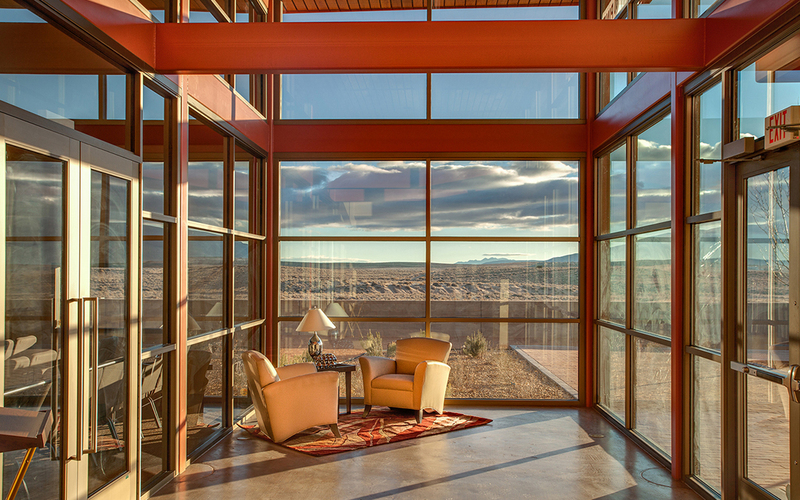 Natural light and framed views of the landscape near and far are integral to the building design which is prescriptive to healing and the celebration of life.